How Do You Use Keyword Match Types Effectively? How can you make an effective use of keyword match types? Even if you’re an amateur advertiser, you probably know about the three different match types offered in AdWords and adCenter: exact, phrase, and broad. However, figuring out a strategy for the best utilization of each match type can be tricky. Today I’d like to go over how each match type can affect your traffic and PPC performance. Notice that Google classifies modified broad match as its own match type. This is very fitting as modified broad doesn’t target synonyms or related searches, and each word that contains the modifier (the “+” sign) needs to be present in the original search query. Also, it attracts a very different type of traffic that we’ll discuss momentarily. 2. You can start with a narrow focus that can be incrementally expanded upon, in a controlled way. Let’s start with the broad reach approach first. There’s no surprise here that you’ll want to start with broad match keywords. Using broad match is a great way to get lots of ad impressions. It also helps you cover your bases in case you don’t have an exhaustive keyword list, as Google will impress your ad based on synonyms and close variants of your keywords. Your broad match keyphrases should contain at least 2 (and preferably 3) terms to ensure the net you cast isn’t too large. For example, the table above uses the keyword adopt kittens Chicago, which is a good use of broad match. It includes an action, a subject, and a location all in the same phrase. This will ensure that it targets searchers with the appropriate intent in the correct location. What’s the next match type to use when casting a wide net? You may think modified broad is next in line, but I’ve found that using shorter tailed keywords in phrase match can actually get you more impressions. In the chart, we see the phrase match keyword “adopt kittens”. This should trigger lots of varying searches, including everything from “where can I adopt kittens” to “how many people adopt kittens every year?” Clearly, some searches will be more relevant than others, which leads to the next phase with this strategy: optimization. When using lots of broad and phrase match keywords, it’s vital to have a healthy list of negative keywords. Quick refresher: negative keywords are those you add to a campaign or ad group that won’t trigger your ads. With our kitten adoption campaign, we may want to add negative keywords like “dogs” or “Indiana”, as Google may treat those terms as related to our original “adopt kittens Chicago” keyword in broad match. Next, you’ll want to keep a close eye on the search query report. This will tell you what search terms are triggering your ads. Here, you can add negative keywords where appropriate, and also find keywords to add to your campaign if decent search volume exists. The golden rule of casting a wide net is optimizing your efforts to make sure you’re not getting ad impressions from irrelevant searches. The second strategy is more controlled and works by using more limiting match types. Again, no surprise here that the first match type you’ll utilize is exact match. Starting with an exact match keyword like [adopt kittens Chicago] ensures that your ad will only be impressed when the exact terms (in that exact order) are searched for. 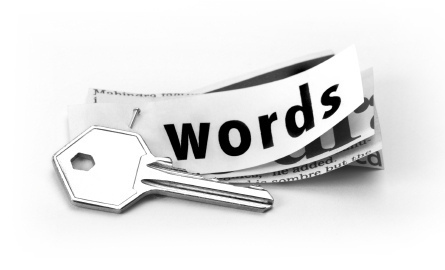 The more words you include in your keyphrase, the more restricting the term will be. For example, [kitten adoption in Chicago] will be more restricting than [kitten adoption]. Another surprisingly useful match type that has the ability to limit your ad impressions is modified broad match. To use this match type, you must include a + sign before each word you want to be a mandatory part of the search. For example, the keyword +adopt +kittens +Chicago ensures that every search that triggers your ads will include those three words, if not in the same order. In order for modified broad match to work with the narrow focus strategy, you must use longer tailed keywords of 3 or even 4 terms. Something like +adopt +kittens +Chicago +shelter will be nearly as limiting as the same term in exact match. This strategy works well when you’re targeting a very specific segment of searchers, and you know exactly who they are. Utilizing the narrow focus strategy requires more keyword research up front to ensure you’re attracting the audience you want without being too restrictive. However, you don’t have to add nearly as many negative keywords, and it saves a lot of time you would have spent with the first approach analyzing the search query report to find additional negatives or other keyword additions. The only drawback here is that you may not see search queries related to your keywords that would indeed be good additions to your campaign. The strategies outlined represent opposite ends of the spectrum, and you’ll be able to use them as a guide when building your campaigns. As with most things in the PPC world, they certainly aren’t black and white. The important thing is having a foundation of understanding as to what types of searches are triggering your ads according to the match types utilized. If you’re still unsure of which match types you should start with, the best thing to do is utilize some of each and see for yourself. The beauty of PPC is that you can (and should) always optimize your efforts to see the best results. So start experimenting, and find out which match types are right for you.